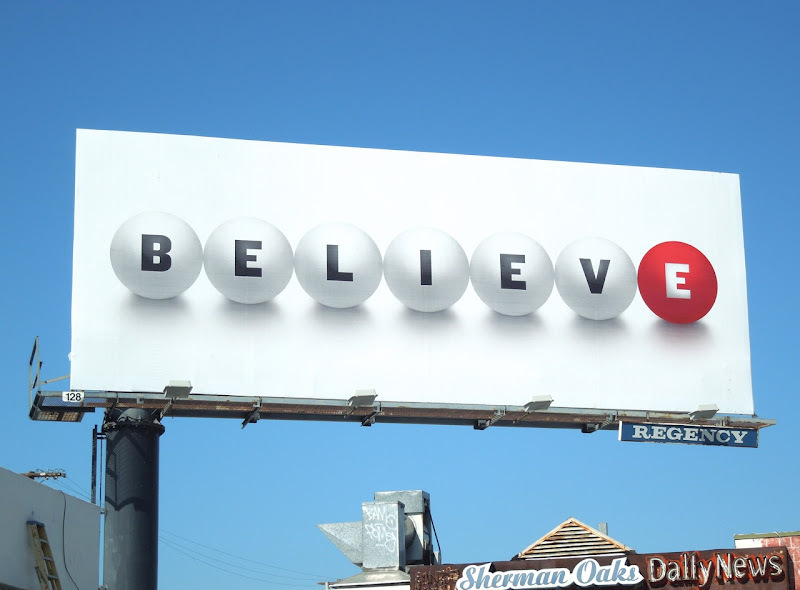 Believe in Santa Claus, believe in the Tooth Fairy, believe in a higher power, but most of all believe that you can win the lottery. 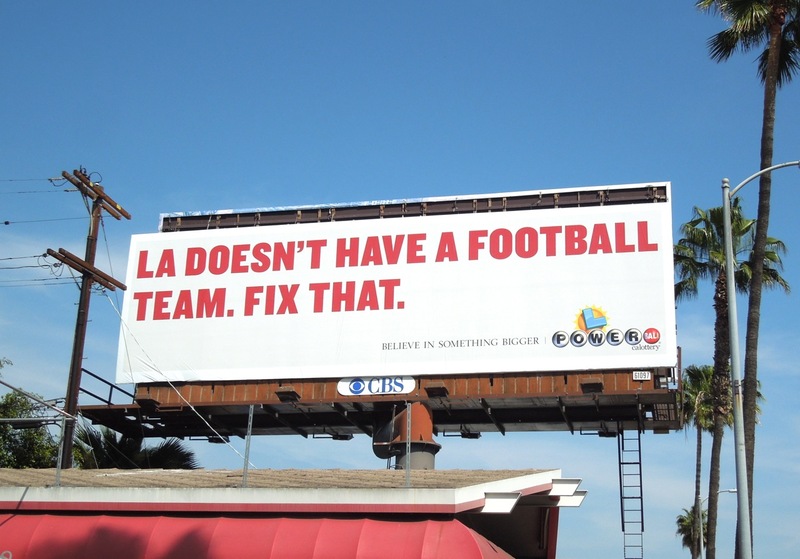 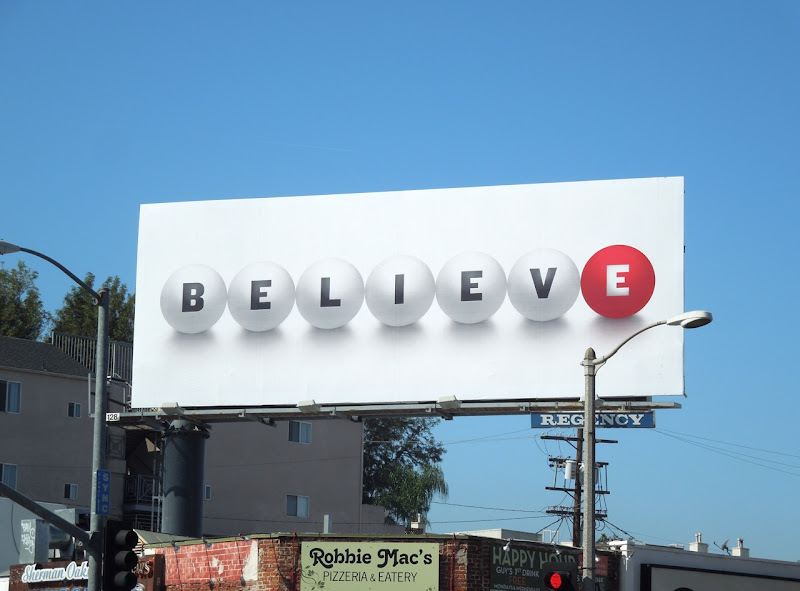 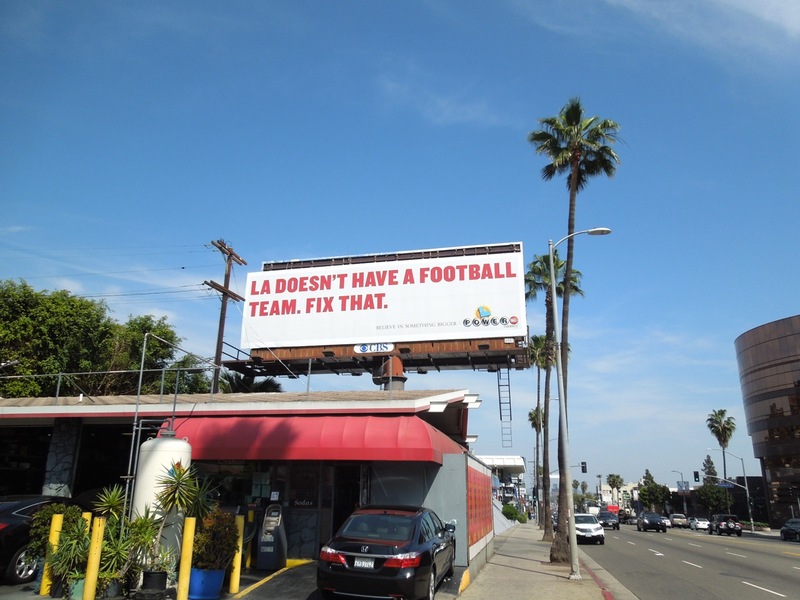 That's the overall message behind the teaser and follow-up billboard campaign to announce the new Powerball draw coming to the California Lottery, which is a multi-state, mega-lottery jackpot game starting at $40 million. 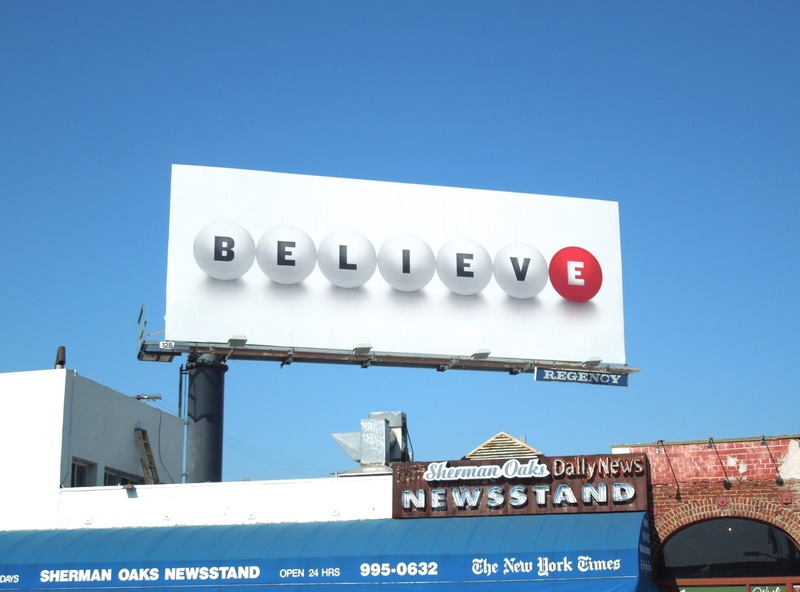 The simple, yet effective teaser creative was snapped at the intersection of Ventura Boulevard and Van Nuys Boulevard in Sherman Oaks on March 29, 2013. 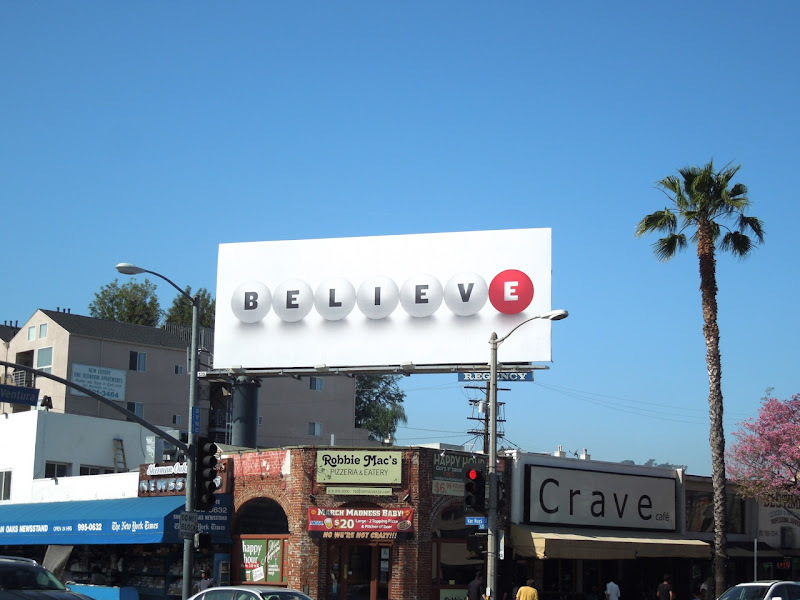 The second wave billboards were spotted in different locations along Sunset Boulevard on April 2, 2013. 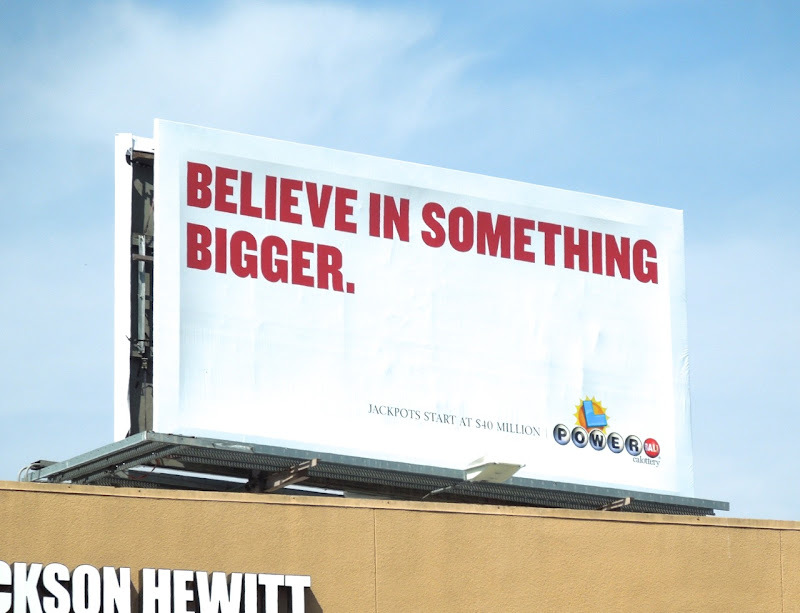 Finally, remember to always believe in yourself.